Water. In science class, I learned it was the “universal solvent.” That doesn’t scratch the surface on its true mystery and utility, however. Water is an amazing thing – it can be observed in forms both minuscule and enormous; oceans, after all, take up much more surface space on this planet than land masses do. You can immerse yourself in it – once beneath it, water changes your perception of reality completely, altering your senses so that you hear and see in ways you’d never be able to on land. It allows your imagination to leap in directions otherwise unforeseen. Water is also a prerequisite for life here on planet Earth – people (or almost any other organism) can’t survive without it. Water is what Derek Piotr explores on Drono, and it should come as no surprise that once again there is a naturalist theme that creeps into his work; Piotr is often photographed holding plants, fruits, or vegetables, often outdoors. He has organized electronic concerts in the middle of forests. His parents are Ents. OK, that last one’s not true, but would it be so surprising? But Drono is a different beast than the light-in-the-forest-clearing-type inspiration of past works like Tempatempat and Bahar, and it’s his first album where he specifically tackles a new genre. If the title hasn’t made it obvious, that genre is drone, a hard left turn away from his past electronic/voice/electroacoustic/glitch work. While he doesn’t literally silence himself – the majority of the record is made up of processed vocals, after all – he completely removes the context of his voice from the equation, a risky move when his vocal element has been so prominent in his previous work. Gone are the restless rhythms, replaced instead with tranquil and ambient tones that grow and morph as they progress, like glaciers over landscapes. Hey, did you know that glaciers are made of water too? The water’s just frozen! Just wrapping it all together. Good thing Derek Piotr fares well in the dronescape, as there is still a richness to his music here. Piotr is a scientist who prefers music as his toolset to microscopes and laboratories, and as such he’s stripped away any and all unnecessary elements and concocted a vibrant headspace teeming with gentle imagination. Utilizing a four-dimensional world on Drono – the fourth being the (seeming) elapse of real time as his water compositions traverse actual distance and take the cubic form of their physical containers (…in my head) – Piotr examines the relationships between the physical world and the infinite moments of capital-T “Time.” This is how, on a track like “Rivulet to Gulf,” he’s able to guide the listener from the actual formation of the rivulet at the source to the actual emptying of that initial rivulet into the sea, although now of course the rivulet has evolved over the course of its journey into millions of gallons, and it’s reflected in the gradual shift in the track. The rest of the mostly lengthy tracks here follow similar suit. On “Lakes,” the voice of Maja Ratkje is layered and manipulated until it no longer resembles a voice, the opposite effect of “Rivulet to Gulf,” which sounds like a choir. “Wash” burbles and clicks like a marsh in the evening. “Shallows” changes rapidly, not content to be pinned to one sound or mood, and rewards with its internal conflict. “Sound” is short, at 3:44, and is closest to the Derek Piotr of old in that recognizable beats introduce the album, but they quickly recede into crisp ambience and warm embrace of major chords. 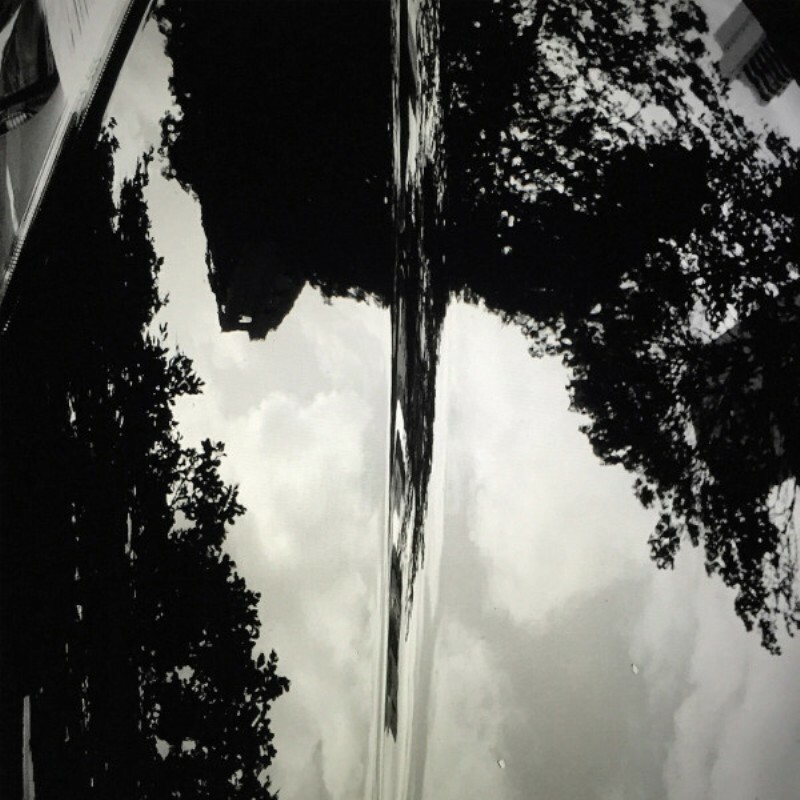 And as he has done in the past, Piotr has again collaborated with a master of the field, this time Thomas Brinkmann, who reworks “Wash” in to the seventeen-minute pointillist tone spectacle “Absolute Grey,” a reminder of his superb 2015 album What You Hear (Is What You Hear). It’s sufficient to say that Derek Piotr has succeeded in his drone excursion, crafting an album that’s at once immediately satisfying and also a slow grower, revealing nuances over time. Like a smooth stone skipped over a calm pond, Drono causes delicate ripples within the ambient music continuum, fitting in perfectly but disturbing slightly with its superior craftsmanship. And as much as I want Derek to continue on along the path blazed last by the superb Bahar, these sidetracks to explore different stylistic areas can end at beautiful and scenic vistas. For your ears, of course. Also check out the “Shallows” cassette single on Scioto Records.